The “Midnight Tweed Bread & Butter Pikle” is stylish! This cover features a woven black and white fabric treated to be both cleanable and durable. The tweed is set-off with a combination of a jade and midnight blue faux leather flap. Each strap attaches securely with a magnet closure that can be adjusted for more or less content. 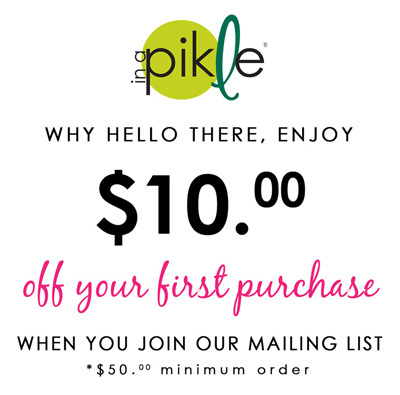 The “In A Pikle” bag is approximately 10″ x 7″ open and 3.5″ when closed. It can be purchased with the Starter Pak/Refill Pak and a matching wristlet that connects with a gold plated clasp on one end of the bag. The “Midnight Tweed Bread & Butter Pikle” also includes the option to add a shoulder strap to turn this “Pikle” into a convenient cross body purse. All covers include 4 Double Sided Interior Pouches.